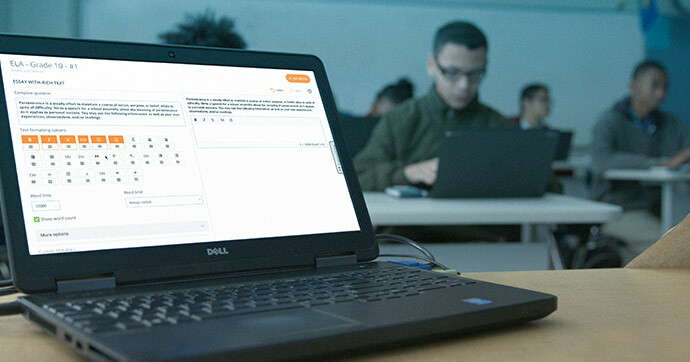 The launch of Teacher Item Authoring makes it the perfect time to hold professional development dedicated to implementing, improving, and expanding usage of item authoring in your school or district. Our PD experts have a variety of options to deliver hands-on instruction to ensure maximum effectiveness and best practices when creating and managing items. you recently implemented Teacher Item Authoring. you could use support in creating your own district item bank. you would like a more in-depth look at the specific functionalities within Item Authoring, including all the awesome technology-enhanced item types. you feel confident creating items, but would like some guidance from an MC expert on creating quality assessments with your own item bank. The best part about these interactive PD sessions is the one-on-one time you’ll get with an MC specialist to help you build your item bank. Interested in scheduling a session? Please contact your Regional Education Consultant for more information—or fill out the form on this page and we’ll call you! And be sure to ask about our limited-time PD specials that are available now through December 21st. If you’re a school and district administrator and you’re interested in activating Teacher Item Authoring, please contact your Regional Education Consultant for more info or call us at 801.736.0258. Teachers, if you are interested in authoring your own items, let your in-house MasteryConnect administrator know!